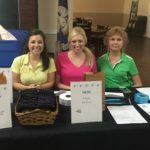 The Monson Law Firm worked the registration table at the Honorable Order of the Blue Goose New Orleans Chapter’s Annual Golf Tournament on Monday. The tournament was held at Riverlands Golf & Country Club in Laplace. Thanks to everyone who came out to play it was a beautiful day! Pictured are Brittany Davis Stoudt with Emergency Restoration, Ann’Lee Earles, CISR, CPIA and Nanette Giruad with Robert Giraud Insurance Agency. Click here to view pictures! 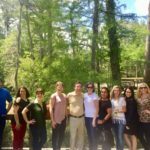 The Monson Law Firm enjoyed a fun team building lunch at The Chimes! Click here to view pictures! 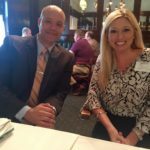 The Monson Law Firm attended the Risk Management Society’s South Louisiana Chapter’s April Lunch meeting at Mr. B’s Bistro in New Orleans. 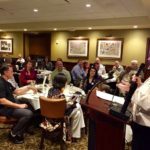 Our guest speaker was Harold Davis with the FBI who discussed how to prevent Identity Theft. Pictured are Harold Davis and Ann’Lee Earles, CISR, CPIA. Click here to view pictures! 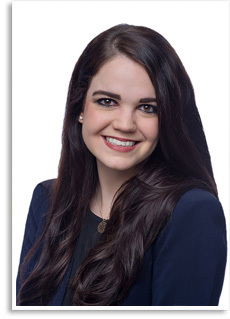 Marjorie Salazar, Esq. with The Monson Law Firm’s Texas office taught a CE course titled “Ethics: Rules and Responsibilities” for the Houston Claims Associations April lunch meeting at The Palm. Thanks to everyone who attended the luncheon, it was a great turn out! Click here to view pictures! Check back soon for Lauren’s bio. 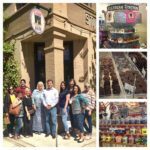 The Monson Law Firm enjoyed a fun Friday afternoon trip to The Candy Bank. We are so thankful for our sweet employees! Click here to view pictures! 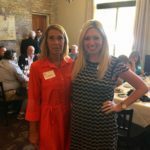 The Monson Law Firm attended the Northshore Chapter of Professional Insurance Agents April lunch meeting at Keith Young’s in Madisonville. Our guest speaker was Dawn Lee from Burns & Wilcox. Dawn discussed an underwriter’s standpoint on applications and what practices an agent should adopt to provide an outstanding submission. Pictured are Dawn Lee and Ann’Lee Earles, CISR, CPIA. Click here to view pictures! 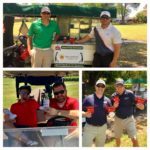 The Monson Law Firm had great time sponsoring the New Orleans Chapter of Professional Insurance Agent’s 14th Annual James C. Herndon Memorial Golf Tournament on Monday. It turned out to be a beautiful day! Pictured are Brad Sanders with ASI/Progressive and Larry Sinatra with Frank and Associates. Pictured bottom left Evin Beck with UFG Insurance, Casey Lane with Lane and Associates, Ty Talamo with Capstone Insurance and Jason DiMaggio with Safepoint Insurance. Click here to view pictures!